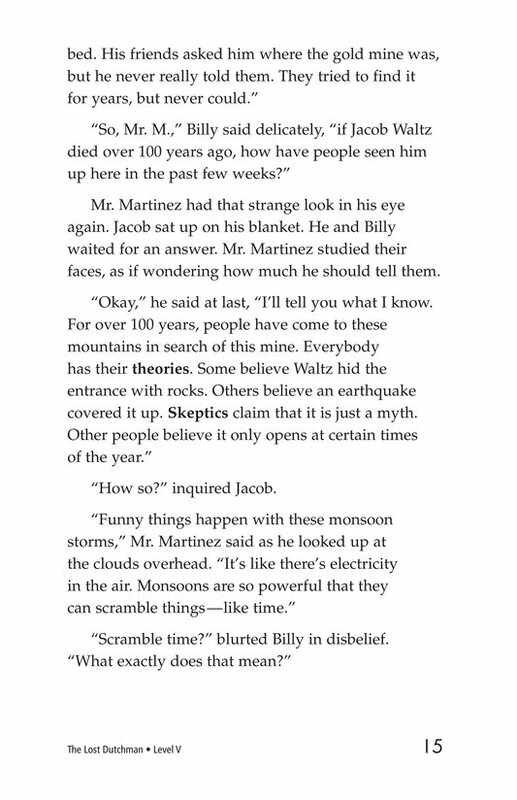 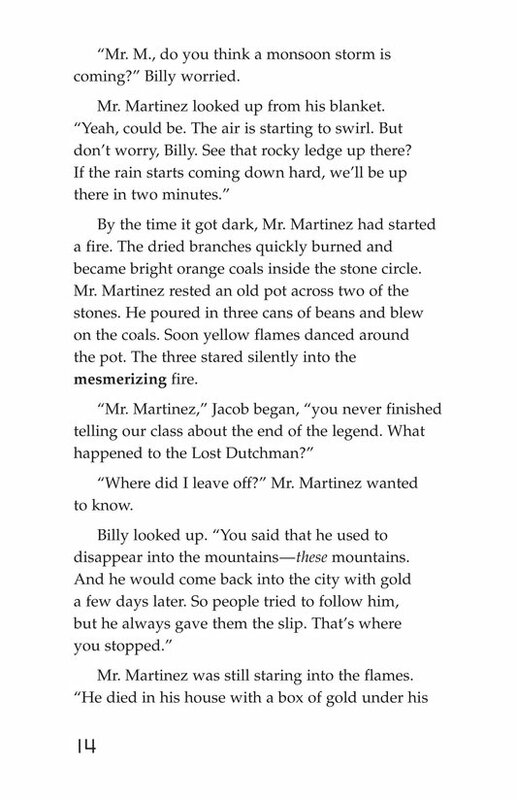 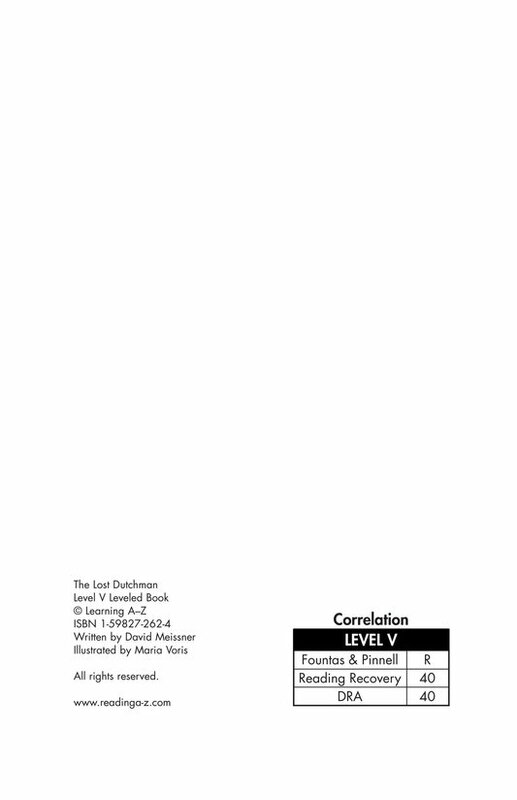 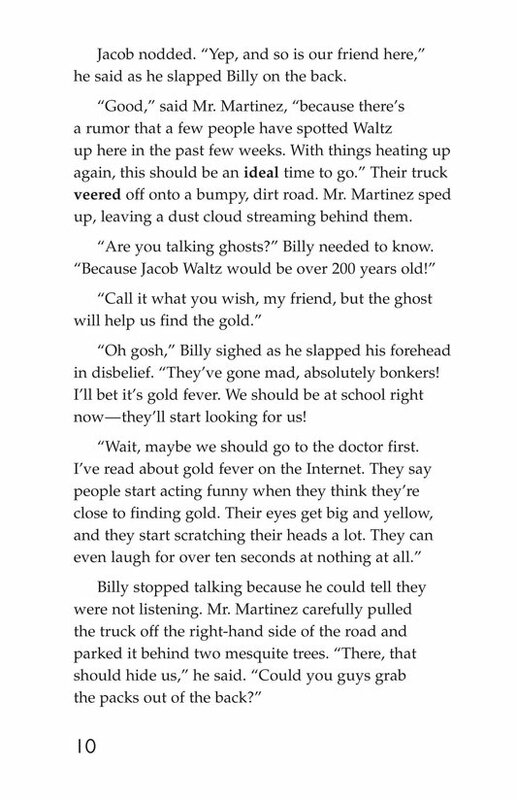 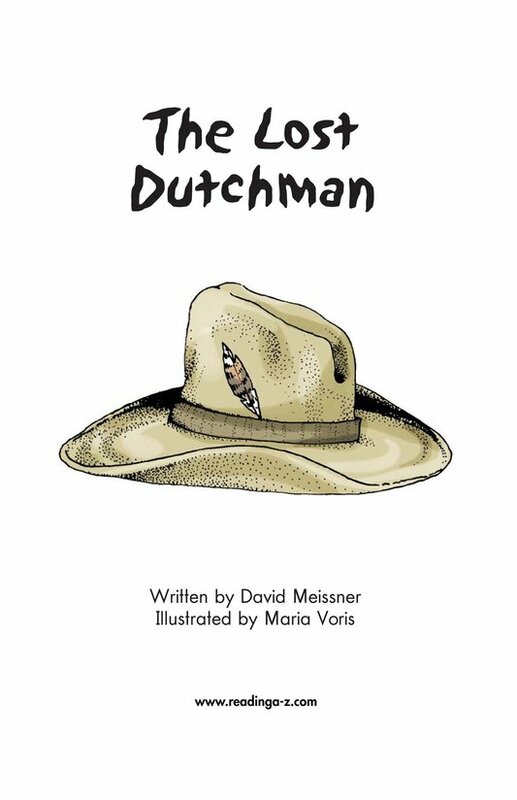 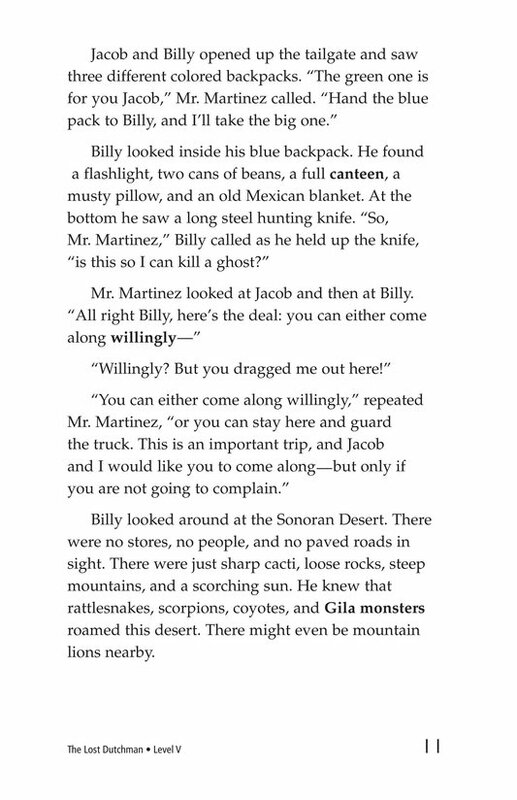 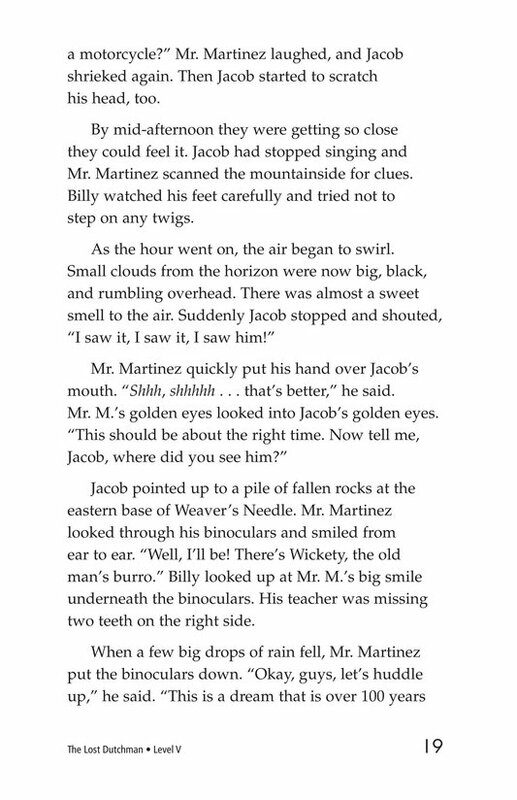 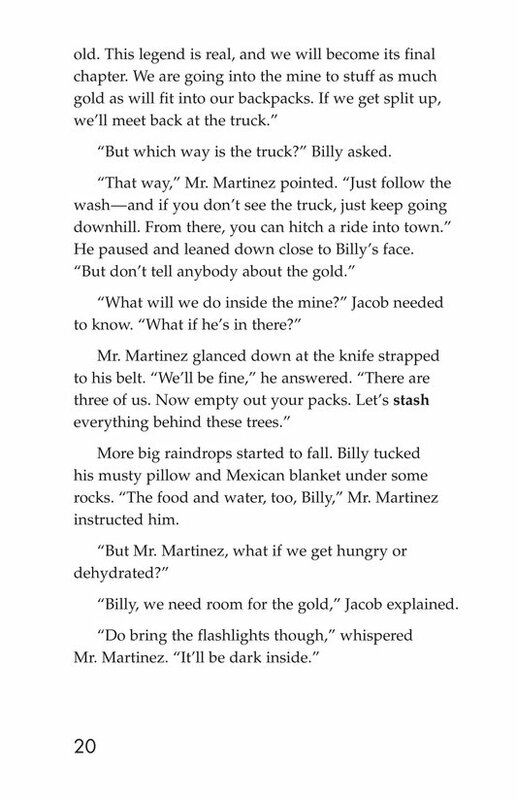 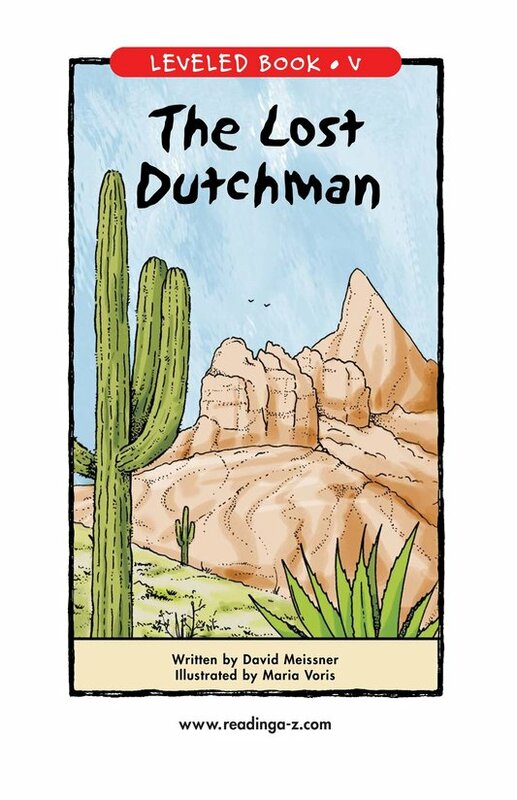 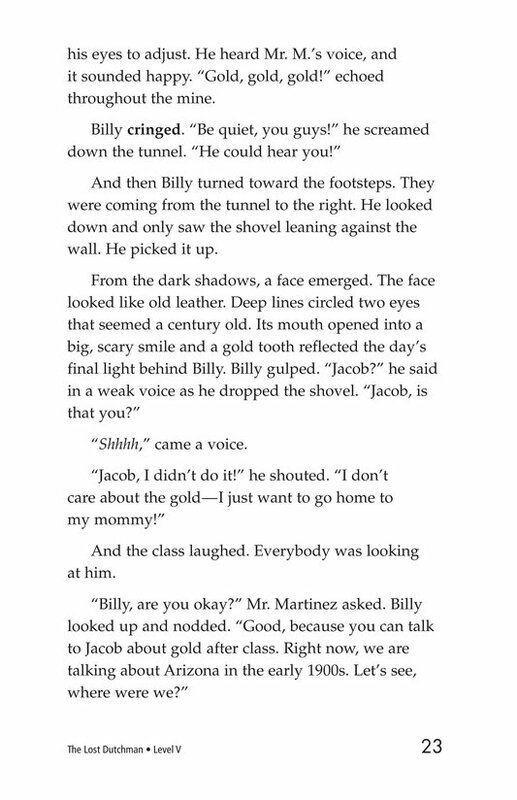 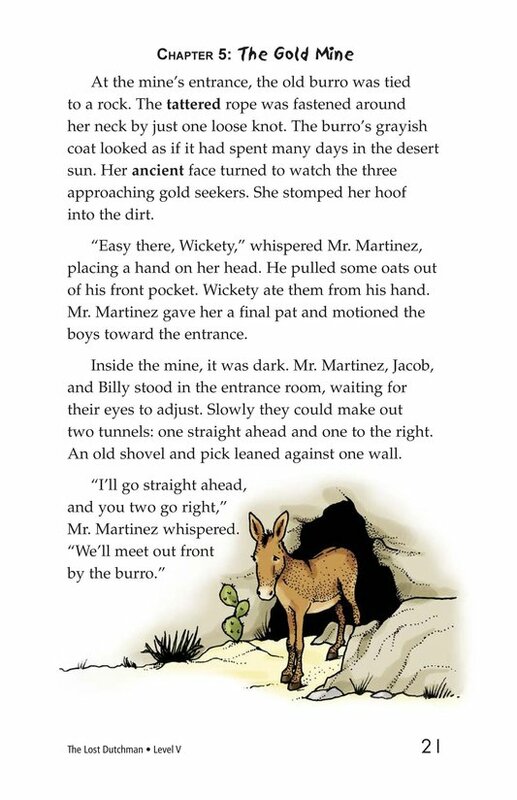 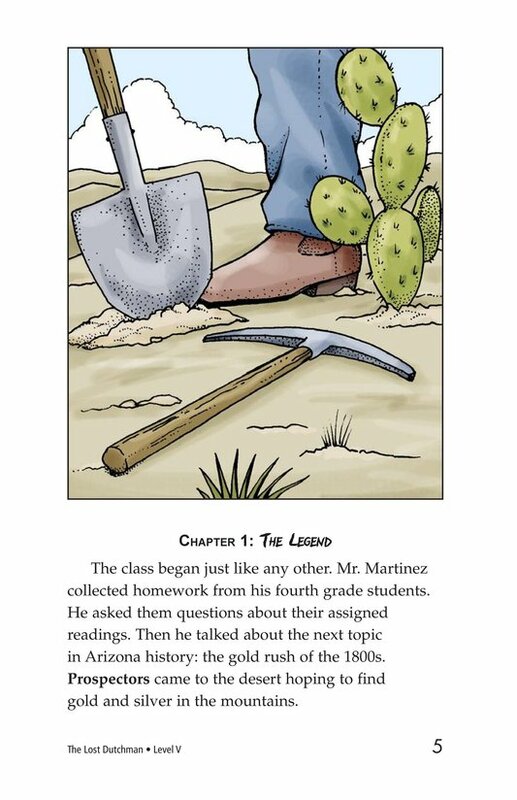 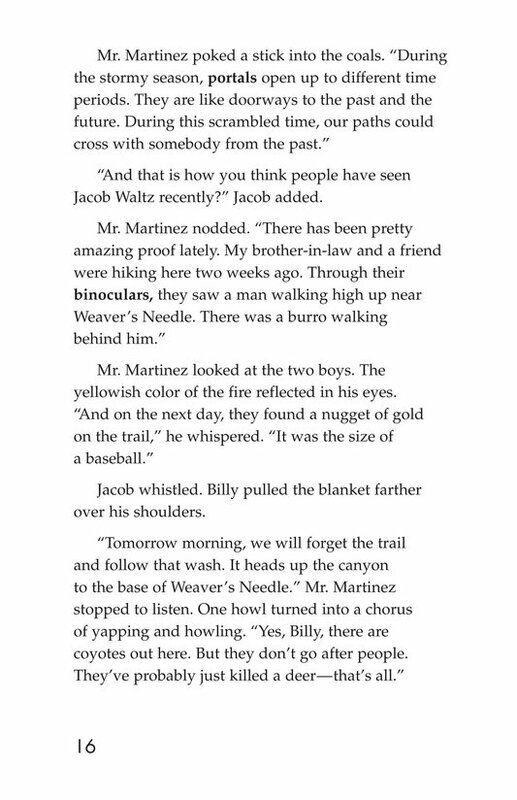 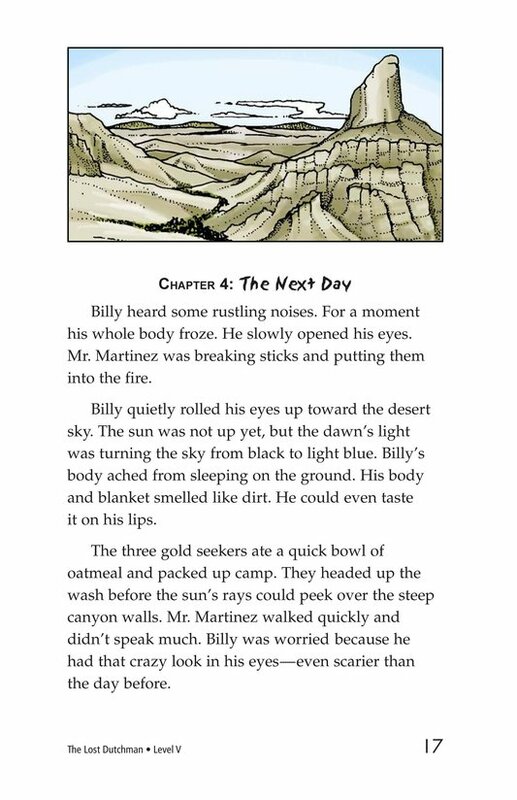 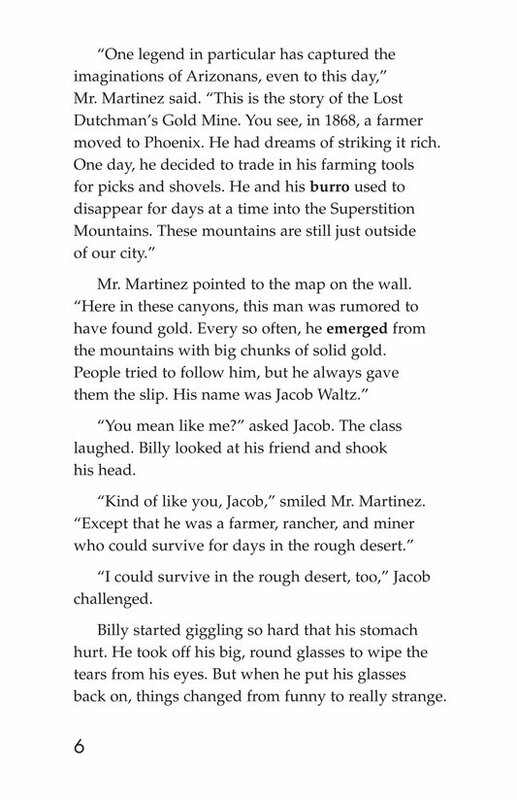 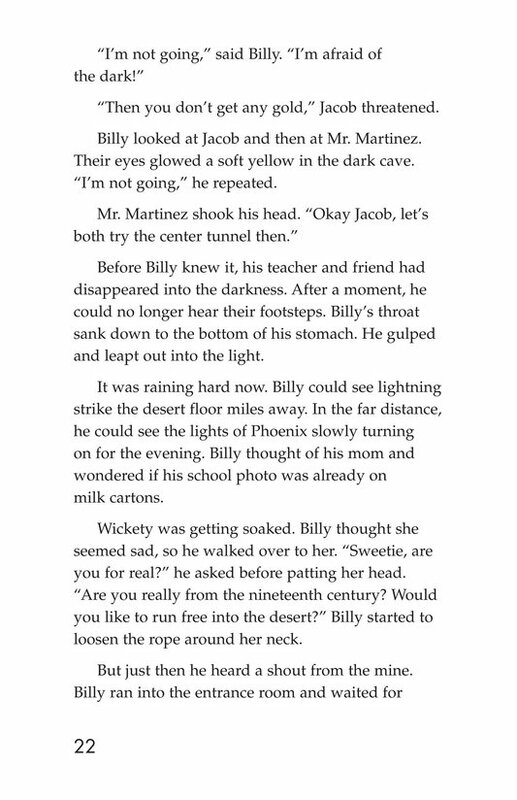 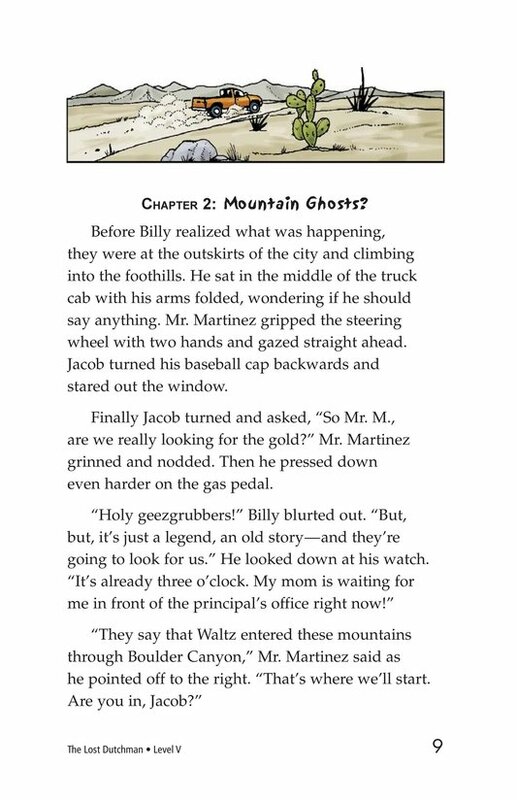 The Lost Dutchman is a fictional story about two boys, Billy and Jacob, and their teacher, Mr. Martinez. 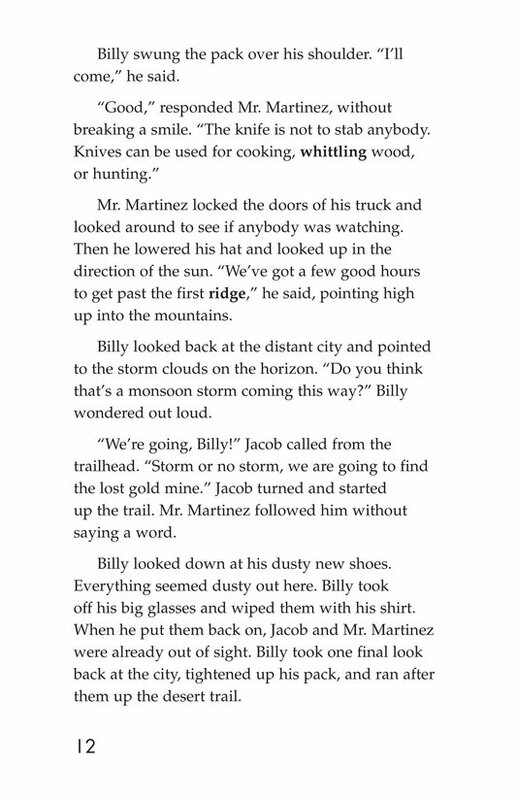 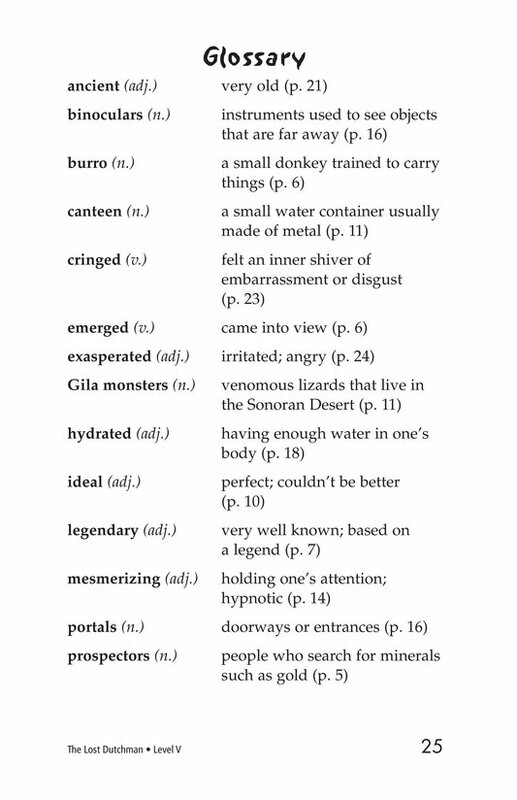 While learning about the Gold Rush in Arizona in the late 1800s, something very odd happens. 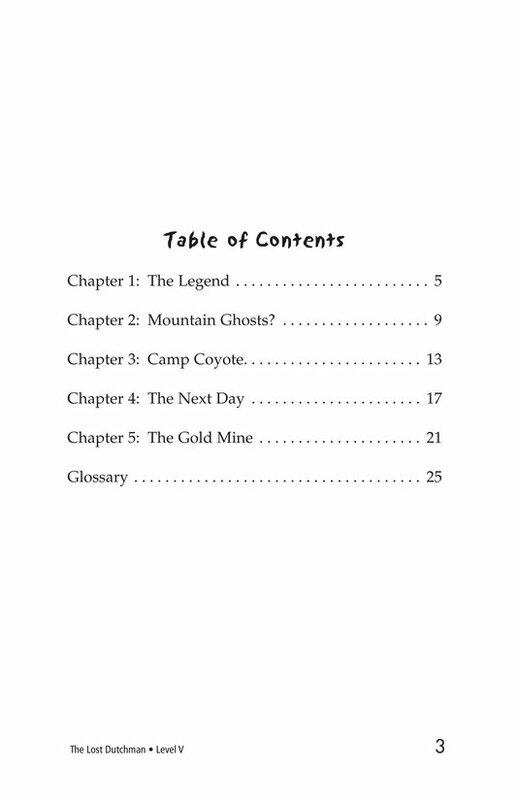 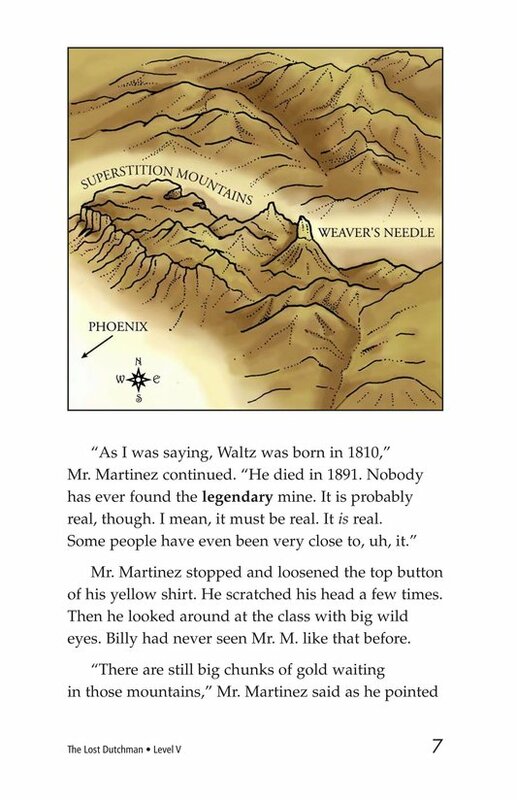 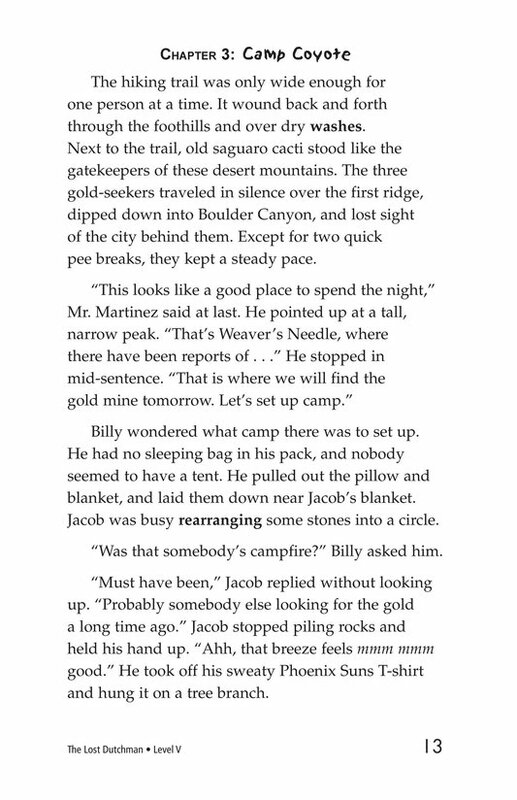 Suddenly, Billy finds himself, his friend, and his teacher searching for gold in the Superstition Mountains. 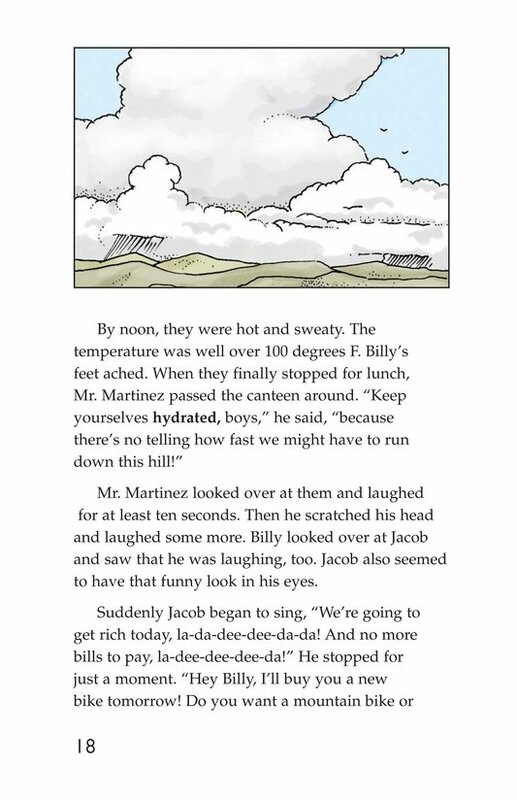 Their adventure ends abruptly when Billy realizes he has been daydreaming. 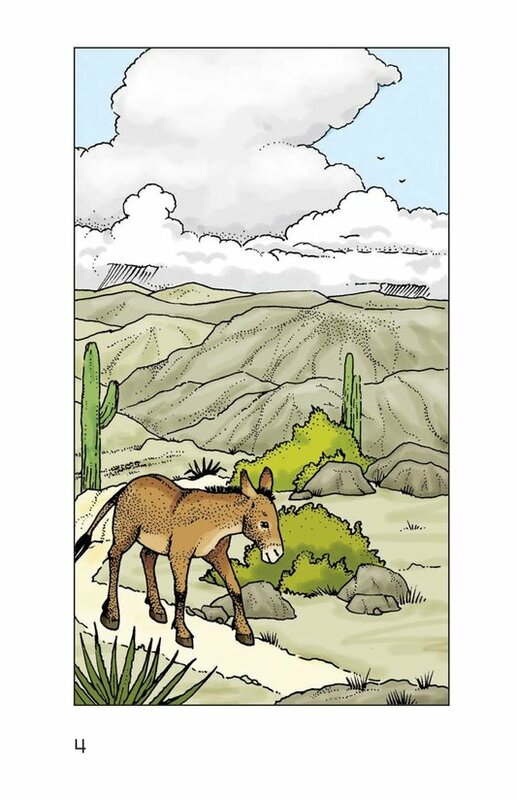 Or has he?